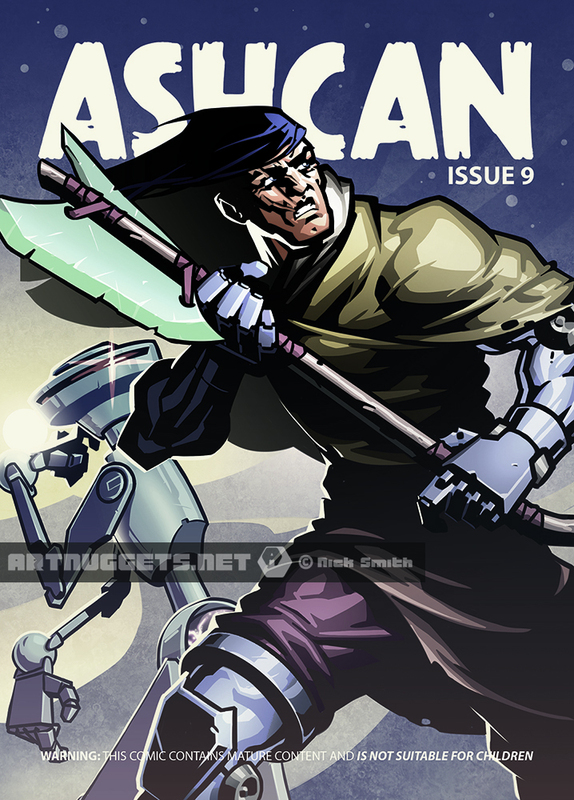 I recently had the opportunity to create the cover artwork for Ashcan, issue #9. Ashcan is a collaborative project designed to bring together comic artists and writers, giving them the opportunity to have their work published for free in a print medium. 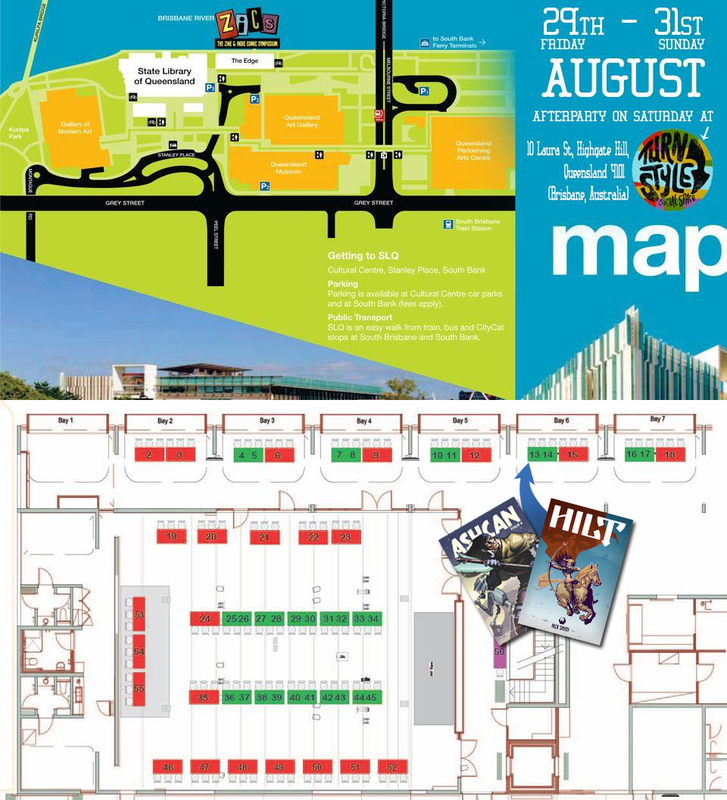 You can pick up a copy from the Ashcan table (#13) at this weekend’s Zine and Indie Comic Symposium (ZICS) at The Edge, part of the State Library of Queensland, South Bank, Brisbane. I will be sharing the table and pimping out my comic Hilt once more, so if you’re in the area, come and say hello, and check out all the other great artists and writers that Brisbane has to offer.